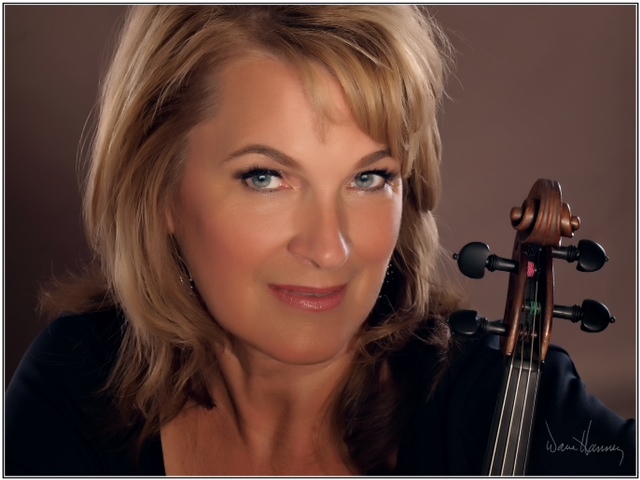 Violinist, Robin Cecil, received her Bachelor’s Degree in Music at California State University, Long Beach, and was a member of the honored University String Quartet, American Youth Symphony, and Debut Orchestra. She went on to receive her teaching credential where she taught Instrumental Music for the Long Beach Unified School District and Orange County High School of the Performing Arts where she conducted string and chamber ensembles. Robin has performed with the Pacific Symphony, Opera Pacific, Santa Barbara Chamber, Orchestra of Santa Fe, Glendale Symphony, Redlands Symphony, and Mozart Classical Orchestra. Each year she also performs at the Oregon Coast Music Festival in Coos Bay. Because of her versatile playing ability, Robin has been chosen to perform on stage with many stars such as David Foster, Reba McIntyre, Rod Stewart, Mark O’Connor, Amy Grant, Josh Groban, Juan Gabriel, Clint Black, Luciano Pavarotti, and The Three Tenors. Robin can also be seen and heard on many television commercials and movie soundtracks such as “Spiderman”, “Get Smart”, and “The Soloist”.